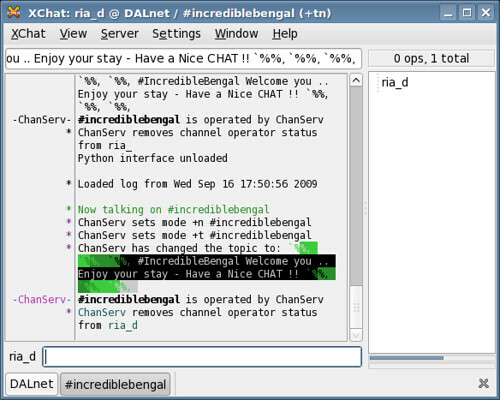 This document covers installing and using X-chat, a popular IRC client. For more information see here..
Download X-Chat from here. After that install it into your system. Start with writing your nick. Put a second and a third choice as shown. Then you give in your user name which may or may not be same with the nick and finally write your real name. 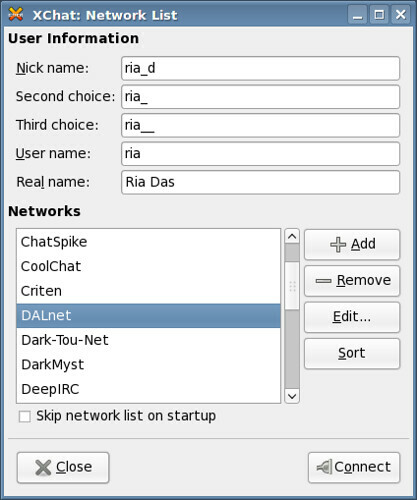 After that select the DALnet network and click on edit. 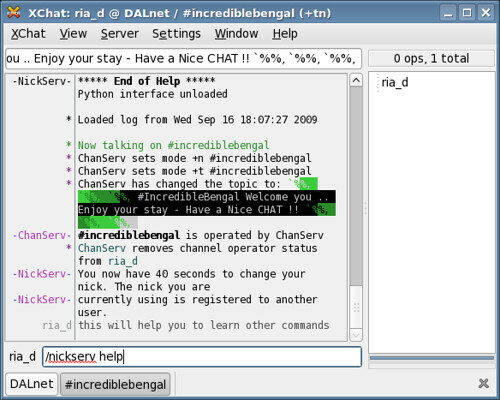 Highlight irc.dal.net there. Write #incrediblebengal at “Channels to join” and close it. After this a verification mail is sent to your inbox and you need to authorize it according to the instruction in your mail. Use first letter of the person as on the list and then press tab to get the full name. /msg ria how are you? I have written some of the basic commands. 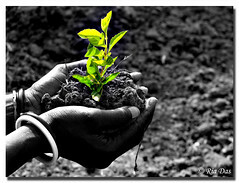 Other commands can be used by taking help of the “help” command according to your requirements. I hope this few things will help the newbies at IRC. Happy birthday to dgplug :-). Today one more year completes for dgplug. 4 years back it was started by Kushal. 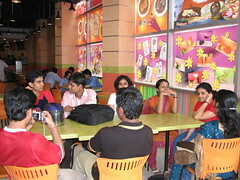 Since then, lot of students from every year have participated in this linux user group. Today, we people, staying here at Durgapur gathered together to celebrate dgplug’s birthday with an informal discussion. At about 12:30 pm, 10 of us (me, Subhodip, Arindam, Ajitesh, Amrita, Debashree, Arpita, Sunny, Ratnadeep, Kishan) met at City Center (though arindam was 1 and a half hour late). We went to the food court, sat together and then the discussion started. Subhodip started with a brief introduction of dgplug and the way it started. He then asked us to share our experiences about our precious years we spent with dgplug. Amrita started with the summer training and the way she started with inkscape. 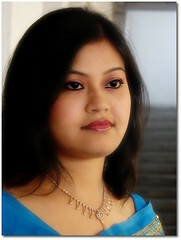 She was followed by Arpita and Debashree with similar experiences. They said that they learnt a lot of new things from the training, though never completed reading any book :-P. Sunny then started and said how he is teased in his class for getting involved with all these. 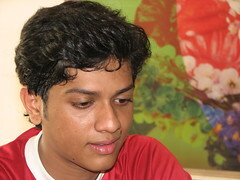 He is named as “Sunny Lenovo Linux Sharma” by his classmates (he owns a lenevo laptop). Still he said he never lost his spirit. Then the 2 guys from the 2nd year Ratnadeep and Kishan talked about their experiences. They too talked about the benefits of summer training. In between the discussion was paused for a while for having our lunch. We had delicious food there. 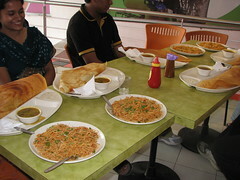 Boys paid the bill :-P. After our lunch it was our turn, we people from 4th year. 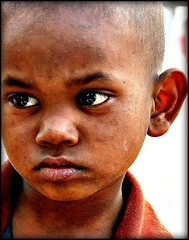 Ajitesh said how he bagan, with working for Bijira. He was followed by a long and detail speech by Arindam. He started from the very beginning and shared his experince in details, specially of the month spent at the training under Indrada (even about what food he had and free of cost :-P). Subhodip in the meantime was counting the months and was waiting for when Arindam will talk about this month after detailing all the months before :-P. He also talked about his SoC experience. Then he talked about his participation in freed.in and how he got involved with open street map which helped him get through SoC. Then it was my turn. I too said little bit of how it began and specially my experiences of summer training. Then Subhodip started by saying, his experiences are almost similar to Ajitesh and Arindam. Juniors asked lot of questions. And at the end of the day Subhodip gave his valuable suggestions and insisted to focus on a single thing rather than trying to do everything together. I was getting late as I had a limited time and I had to return to my hostel. So we hurried up and we went to a icecream stall. We had icecream and this time girls paid the bill :-P. And then finally we all returned after a nice day spent for dgplug. Hope this day is celebrated with all fun and discussion, every year. 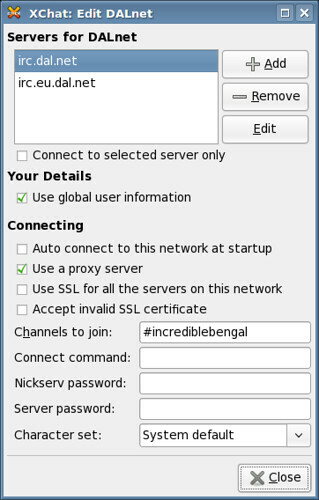 I started with localization in bengali. I started talking with Arindam about it. He made me understand the entire thing. I took a look at the entire statistics of the translated and untranslated work of bengali localization compared to others. I then had a glance of the kde localization. I will start working with kdebase localization. I did a checkout of both the translated and untranslated pages (translated ones to have them as examples). Later I talked to Runadi about it. I took help of her blog to have the entire set up in my MacBook. Arindam helped me in the entire process. It took a long time in my slow internet connection for the set up 😦 . But finally everything is ready. I have gone through the translated pages to understand it in a better way. I have saved the keyboard layout for probhat which I will be using. Now I take some time to search a letter from the keyboard and type 😦 , so I need to practice typing in bengali. 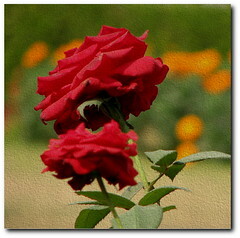 I will take help of the ankurbangla dictionary for translations. 29th June, ’08 marks the beginning of Summer Training started at #dgplug . Now almost a week over in this training. Learned a lot of new things from all the mentors. Debarshi started with shell. 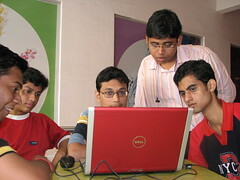 Kushal made us explore the vi editor, Prasad taught us programming with C in gcc , mbuf taught us several theories in free software, Parthan cleared our wiki conept. All classes were very helpful in total. I liked Prasad’s class the most 🙂 . Yesterday was an important day in the history of our dgplug. 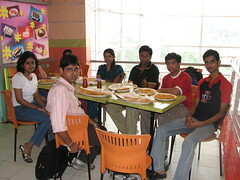 The day started with our visit to NIT at about 11:30 a.m. We 5 (me, Kushal, Subhodip, Arindam, Ajitesh and Sunny) went there. We were received by one of the 3rd year students of their lug. We were taken to the Application Lab of the IT Department. Projector was arranged for us and also there was well internet facility. Kushal started with his introduction about our dgplug at about 12:00 a.m. Then all of us introduced ourselves. It was a good and interactive one. Lot of 2nd year students were present including girls. They were eagar to know about the Bijira project which Subhodip explained them. Then Kushal started with the basics like the principles of free software. He explained the ways one can start contributing to the free software projects and also upstream projects. Then IRC was shown to them. It was good for them to see it live. People in IRC were at the big screen, it was really great 🙂 . For the 1st time they got an idea of it. According to the suggestions of Pradeepto in IRC they were taught little bit of subversion. Then the basics of python were taught and they were explained about Google Summer of Code. There was an introduction of indichix, even in IRC Runa_b wrote what indichix is all about which all saw. They were also taught about Bugzilla. In between all these I met with my junior schoolmate who presently studies in NIT. He asked me a lot about GSoC. One more girl came to me asked how she should approach to be selected for GSoC. Finally around 3:00 p.m. discussions were over. Some stickers were distributed. And at last they took us to the Food Court at Wonder La, City Center. We were very hungry and had delicious food there. We then bid them good bye with a hope to always be in contact. Our NIT programme ended with the start of our new programme in Bengal College of Engineering, Durgapur We had less time. We reached BCET at about 4:30 p.m. The surroundings there was a very formal one. We were taken to their auditorium hall. There four of us went. Kushal started with his speech. Me, Subhodip and Arindam took our respective seats. There were mostly 1st year students at the auditorium. They were not much familiar with the free software world. They were taught with the basics and were explained the benefits of contributing in upstream projects. There was no internet facility there, so we could not show much. It was a one hour and 15 minutes discussion. Stickers were distributed. There too we were offered sweets and some other food 🙂 . In this way the day came to an end with lot of traveling in colleges and lot of teaching and also good food 🙂 . Hope that this enthusiasm in these colleges does not die.